Half of you were waiting for this part of the series. The other half of you were dreading it. It will probably depend on your current commitment to fitness. From the questions off the original list, “Do you workout daily? 3-4 times/week? Once a week? Never?” This post includes all the basic information on fitness for the professional. 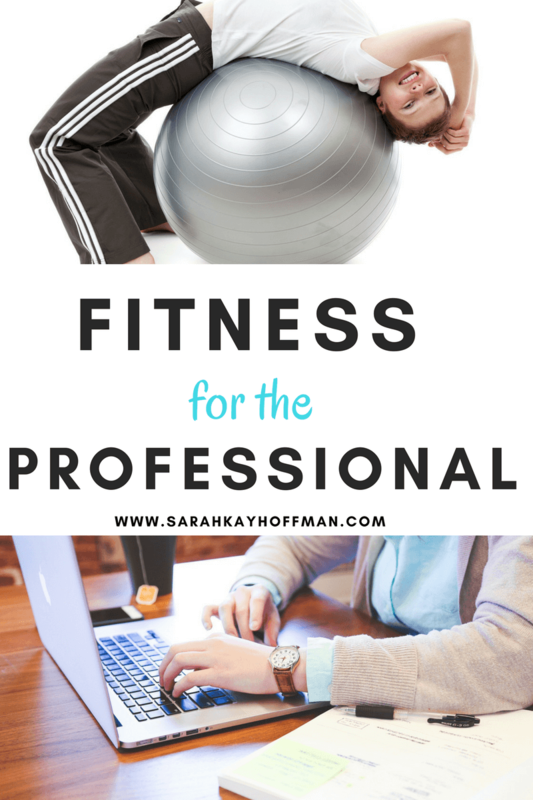 Fitness for the Professional….tips and tricks to make it happen! If you Google, “How much exercise do you need,” this is what you get. The answer varies depending on the link you click on. So what does that mean? It means that there are studies upon studies done with regards to this question. I have heard (more often than not) 30 – 60 minutes of exercise every day. You can accept that if you’d like. Or you can accept whatever other theory you’d like. That is not important. And so I’ll address both. There are 24 hours in a day. You must have at least 20 minutes to get a good sweat in. Have you ever tried “scheduling” your workout right into the rest of your work day? Do you need to watch 5 TV shows at night? Can you wake up 30 minutes earlier each day? Do you have time to gain weight? How about to feel miserable every single day? Or pay more in medical bills? Do you think working out equals running aimlessly for hours on end via treadmill only? The best way to fitness is through a holistic approach, meshing weights + cardio + diet. Got 10 minutes? Do jumping jacks, jump rope, do squats, pushups, situps, kickboxing moves – anything – right from your home. Got 20 minutes? This is the perfect amount of time to do intervals and/or Tabata training. Interval training spikes your metabolism and keeps the body burning calories for a long time post-workout. I will run 20 seconds hard and 40 seconds recovery for a total of 20 minutes. You can also do this walking on an incline, via elliptical, stair stepper or even with short bursts of body-weight movement. Got 30 minutes? Definitely, pick up some weights! Building muscle is the best thing you can do for your body. Muscle weighs more than fat and burns more calories. The more muscle you have, the more calories you will burn just by sitting at your desk tweeting away. Always do cardio? Try weights. Always do weights? Try cardio. Hate the gym? Go for a walk outside. Always bike inside? Try biking outside. Try yoga. Or a new form of yoga, like Bikram. Buy some great new workout gear/clothes/shoes. This one always get me re-motivated! Sign up for a race or competition. Add something physical to your bucket list that also conquers a fear. I could go on forever. The bottom line is that you absolutely, positively must make time for your fitness. You are the only one who can make it happen. Not only will you look better, but you will feel better and you will perform your daily tasks better. I am happy to dive into any one of the points above further, please just reach out to me! Write your workout sessions right into your schedule. No excuses. Figure out what form of fitness will get you motivated to move. And then do it. There are 24 hours in a day. Surely you have 20 minutes to get your sweat on. Today we’re discussing food and nutrition for the professional with question one from this list. Yesterday: What did you have for breakfast? Lunch? Dinner? Snacks? Beverages? Other? Breakfast: Nothing or a muffin/doughnut/bagel with coffee or a soda. Lunch: Nothing or athe nearest fast food stop or an express sandwich, soup or salad. Dinner: Nothing or pizza or grab-n-go or various snacks until you were too full to remember you should have eaten dinner. Snacks: Nothing or chips/ice cream/cake/cookies/candy/soda. Beverages: Coffee or soda or energy drinks or water. It should come as no surprise to you that these choices are not ideal (and yes, that includes the “nothing“). Not only will they make your pants fit a little tighter, but they are also guaranteed to leave you feeling lethargic and less than optimal for your busy days. But I get it, “There was no time to eat until all the sudden I was so starved that I reached for anything!” I’ve been there, and I’ve done that. It is a very, very rare occasion that this happens now. I never allow it! So what’s the “Social” Professional to eat? 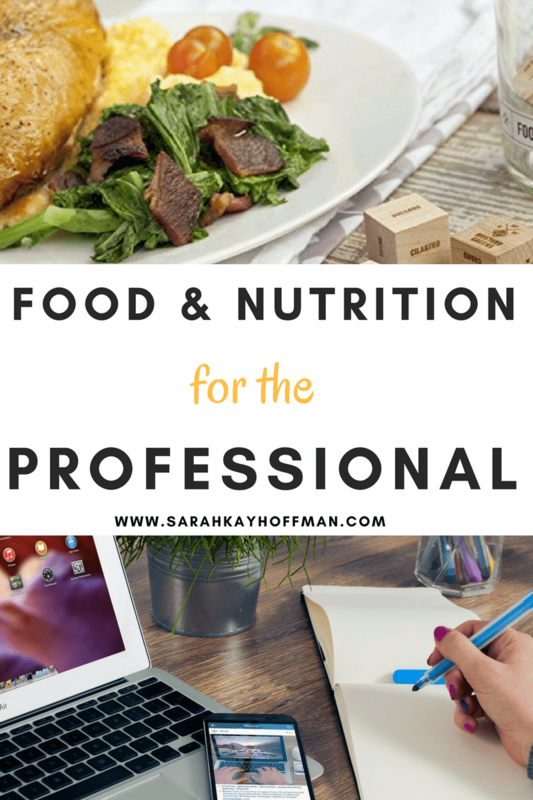 The most basic information on food and nutrition for the professional. I’m taking you through a day, in the most simple way possible. Breakfast: Eat it! And eat it immediately upon awakening. This is the most important meal of the day (for most people, but not always). It’s the fuel to your fire. Try a banana with peanut butter, eggs + fruit, breakfast meats or my 4-Ingredient Mini Breakfast Poppers, oatmeal (not sugar-filled instant) + protein powder and berries, or a super breakfast bowl. Here are 8 more from the ModernMom. Lunch: You might think that by skipping lunch you are doing yourself a big favor since you are planning to eat a huge dinner. But please reconsider this thought. By not eating lunch, you are slowing your metabolism down. Furthermore, by the time dinner comes around you will be left feeling famished and want to eat everything (unhealthy) in site. Try a homemade tuna wrap, a grilled chicken sandwich on Ezekiel Bread, soup (broth based) with a side salad (topped with grilled fish and olive oil). Here are 25+ more healthy lunch recipes to fuel your afternoon from EatingWell. Dinner: It’s the infamous “dinner” time. We’re often starving by now, and on the road traveling! Be mindful of this when planning the rest of your day. Don’t allow yourself to be too hungry, and don’t say, “pass the bread” 5 times! Try these simple real food meal planning steps to create your perfect dinner. If you are out to eat and you must get pasta or other full-flavor, full-fat entree, try eating just half and boxing the rest (and forego the appetizer/dessert). If you are on-the-go and your only option is fast food, try one of these 7 fast food chain meals that won’t make you feel guilty. Snacks: Snack time is my favorite time! The reason is because I enjoy it 2-3 times/day. You should, too. 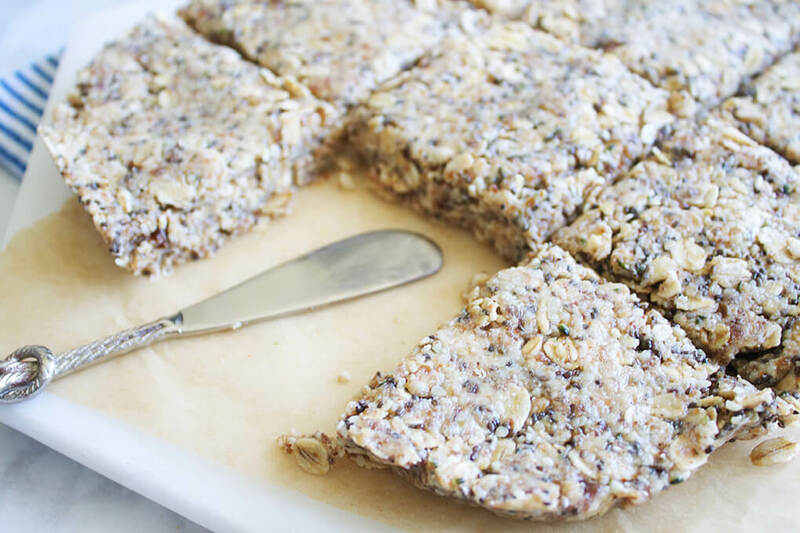 Snacks are good because they keep us satisfied and full of energy all day long. And you need this for your busy days! But when you reach for all sugar, fat and sodium-packed items, you are doing yourself no good! Choose these wisely, and you will quickly notice a change for the better! 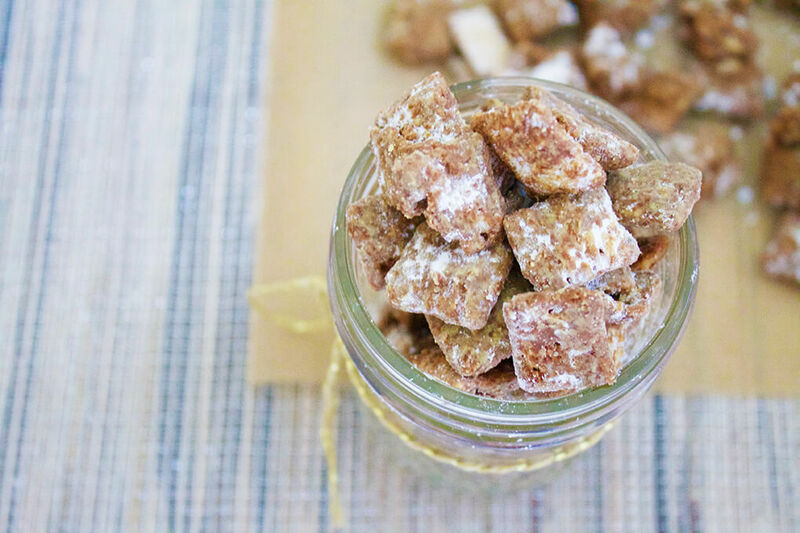 Try raw almonds/other nuts, chips, yogurt with some fruit or granola, apple with almond butter, an Epic Bar, baby carrots with hummus, and/or make your own homemade trail mix. Beverages: Just because you think that “light” mocha with whipped cream is “light,” please know that it’s doing nothing for your overall energy, mood, and waist. You must drink beverages throughout the day, but make the majority of them be water. If you are like me and do not care for the “plain water” taste, try putting a lemon (or other fruit) in your water. Alternatively, you can try my homemade lemonade recipe. Or, drink tea! Traditional Medicinals is my favorite. Energy drinks and soda alike are just chemicals. Stay away from them. And when you want a drink at night, remember that a little alcohol may actually help your heart! With your busy “Social” Professional life, it is important to remember the things you put into your body. If it’s true that “we are what we eat,” then do you really want to be a Snicker’s Bar producing content and managing big projects?! Enjoy that glass of red wine. Click HERE to save this series for later. How many times during the day did you get up to stretch, walk and do movement of any sort? Did you overbook yourself with travel, work, kids, life and forget about your own needs? Do you workout daily? 3-4 times/week? Once a week? Never? These are just 6 basic questions to ask yourself, on your own time, in a 100% completely open and honest manner. This is my first post in a series of 6 (total). 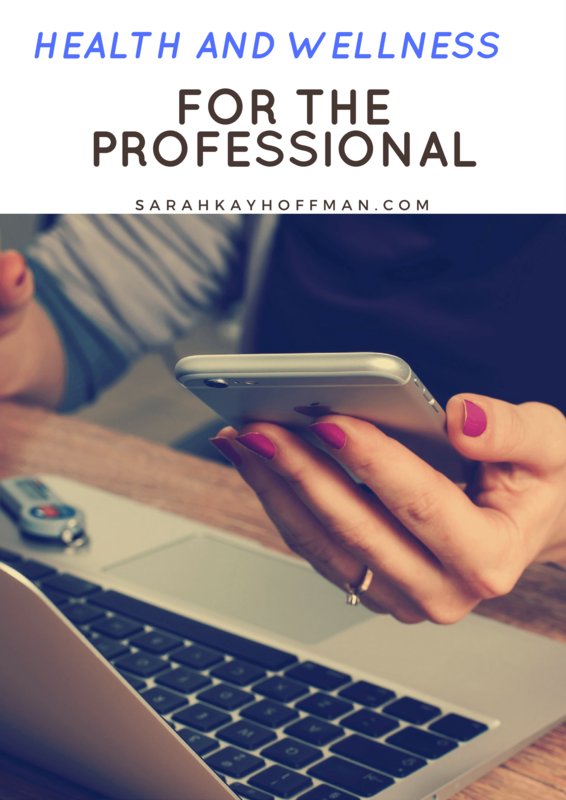 Over the next 5 posts, I’ll dive into each question further and provide practical, helpful and useful tactics and “to-do’s” you can easily incorporate into your (ever-so-busy) professional life. Click HERE to get started and/or click HERE to work with me on creating your own, unique health and wellness plan. I am asked all of the time, “What is gluten? And how do you become gluten free?” Today I’ll start with some basics and a little gluten free 101. Today I am three months gluten free! This is an extra-special day because not only have I made it to three months gluten free, but I have also marked Day 1 and done for my next 1/2 Marathon Training Program! I had an amazing first run today! It’s awfully chilly and dreary in Minnesota, so I took my run to the treadmill today. And that’s okay because it was just 3 miles. I never went above 6.5mph, as I’m trying my best to be very careful with training this time. When training calls for 3 miles, I keep it at that. There are days when I’ll need to do hills, intervals, and long runs. Today was not one of them, so I didn’t try to make it one. I “rewarded” myself to month three gluten free by heading to get new running shoes and some BodyGlide yesterday! I have never used it before, but I heard it is miraculous. I obviously don’t need to use it while training in Minnesota right now, but I’d imagine that just as soon as I head back West I’ll be thankful I have it. As for my new kicks, well I’ll present them to you tomorrow. I have two pairs I’m training with to prevent overuse on my favorites before the race! The only other thing I think I’ll need is my sassy “race day” outfit. Nothing flashy – just comfy, cute & extra light to make me fly. But I have a long time to go before purchasing that! Tonight I’m just so thankful to be day one and done, and three months gluten free. Rock ‘n Roll Las Vegas here I come! I hate you so much, I am running against you. You are not on my team. We are running to fight you! Life doesn’t always go the way I want it to go. I’ve been reminded of that several times this year, and once again very recently. But that doesn’t mean we can stop what we’re doing, stop living life and stop doing the things we love the most in the world! So I’m practicing what I preach….a smile, positive energy and doing one of the things that makes me happy – running! I’ve been on a running hiatus for a couple of months, for many reasons but mostly because of my achy feet. I have been feeling better, but not 100% so what I’m about to do I certainly may regret. No, never mind. I will never regret it, I might just wonder, “what was I thinking? !” And then, I’ll remember and I’ll be proud! Before I dive into this all again, I spent an hour last night getting a pedicure and a much-needed foot massage. I relaxed, enjoyed and entertained the idea that I’ll surely justify getting these 1-2 times/month during the next few months! They can really make a big difference. Now I’m almost ready – once again – to run! On December 5th, I will be running my second 1/2 Marathon. But this one might just be even more special than the last. This one benefits Crohn’s & Colitis Research. I have Colitis, and I have various family members who have more extreme versions of it as well. I could not be prouder to run for this cause! I will never forget my first 1/2 Marathon! There was no better feeling than crossing that finish line. And ever since, I’ve been searching for a (workout/fitness) feeling that parallels. I have not found it! My training begins on Monday, but I will begin some “baby steps” immediately! I have much less time to train than I did for my first 1/2 Marathon, so I’m not expecting to beat my 1:48 finish time. I’m expecting to train hard, work hard and run because I’m passionate about it and its cause! I’m working off of a 12-week program, in which I only have 11-weeks before the Race. The best “feet remedies” post-run. *Because of my cross-passions of fitness, food & health mixed with social media, I will be blogging, tweeting, facebook-ing, twitpic-ing, videoing and more! Therefore, I’ll be planning this out this weekend, too! WOW! That makes me so excited! If you would like to know more about any of these or have an opinion, advice, comments – please feel free to contact me!